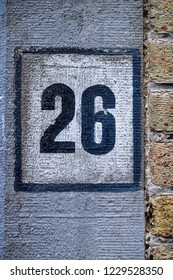 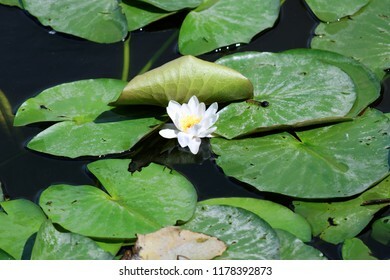 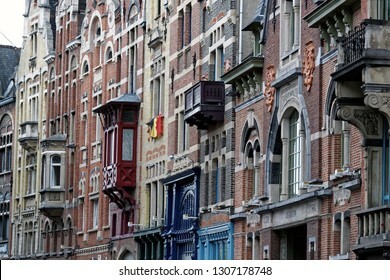 6,235 stock photos, vectors, and illustrations are available royalty-free. 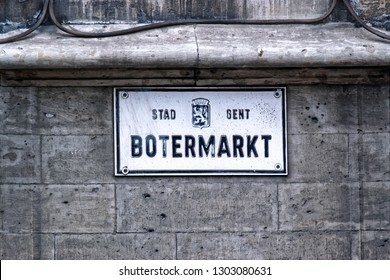 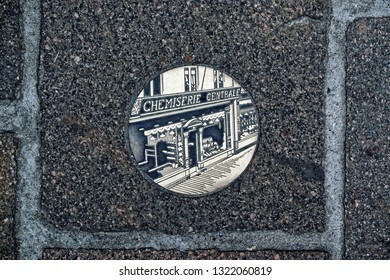 Street sign of Botermarkt (Butter market) with the coat of arms of Ghent, Belgium. 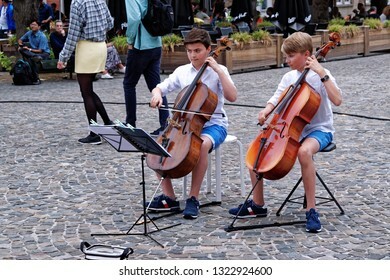 Bruges, Belgium - August 13, 2018: Two boys street performers, playing contrabass on cobbled street. 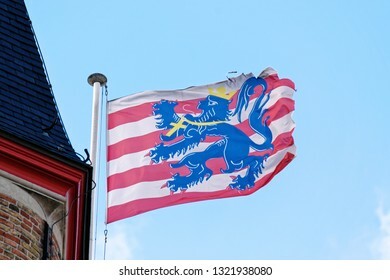 The flag of Flanders, called the Vlaamse Leeuw ("Flemish Lion") or leeuwenvlag ("Lion flag"), is the flag of the Flemish Community and Flemish Region. 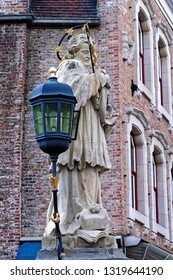 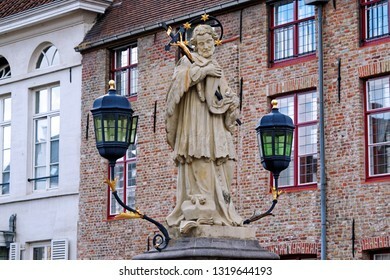 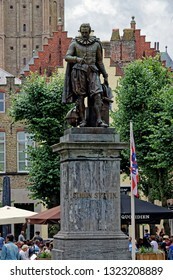 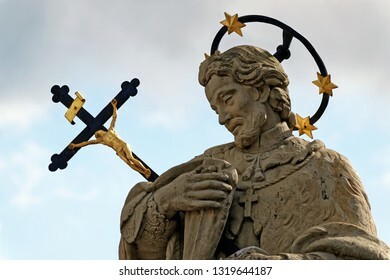 Statue of St. John of Nepomuk on Wollestraat Bridge, Bruges, Belgium with a halo of five stars, commemorating the stars that hovered over the Vltava River and a large crucifix. 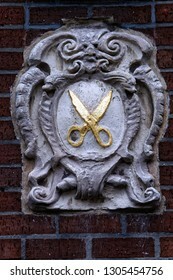 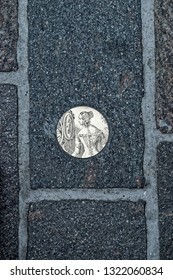 A stone emblem mounted on a brick wall consisting of scissors painted with gold paint surrounded by ornaments, decorating a historic house in the central part of Ghent, Belgium. 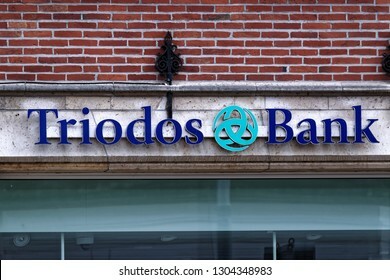 Ghent, Belgium - August 12, 2018: Triodos Bank branch with typical logo and colors. 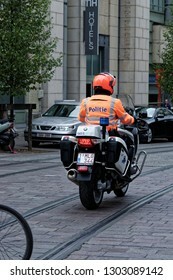 Ghent, Belgium - August 12, 2018: Police motorcycle rider on duty. 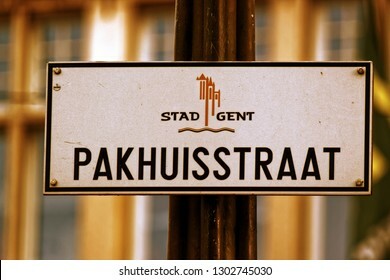 Street sign of Pakhuisstraat street with the coat of arms of Ghent, Belgium. 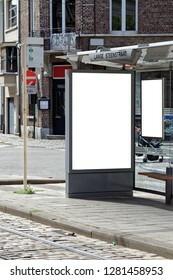 Blank bus stop banner. 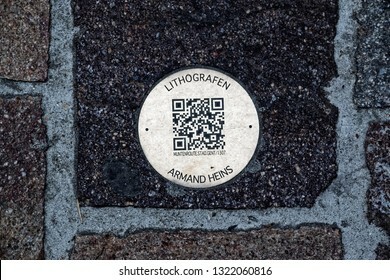 This is for advertisers to place ad copy samples on a bus shelter. 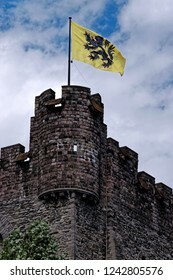 The flag of Flanders on a pole at Gent castle. 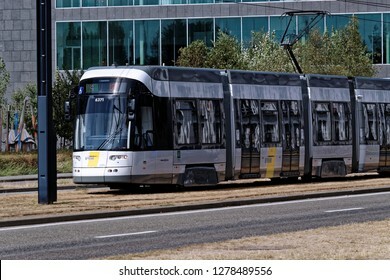 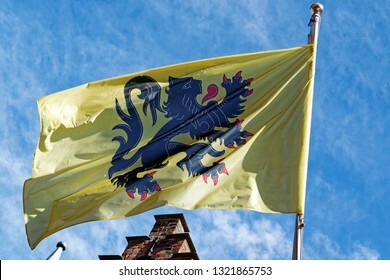 The flag, called the Vlaamse Leeuw ("Flemish Lion") or leeuwenvlag ("Lion flag"), is the flag of the Flemish Community and Flemish Region in Belgium. 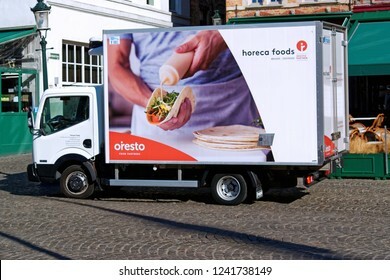 Bruges, Belgium - August 11, 2018: Small cargo truck delivering goods to the groceries in downtown Bruges. 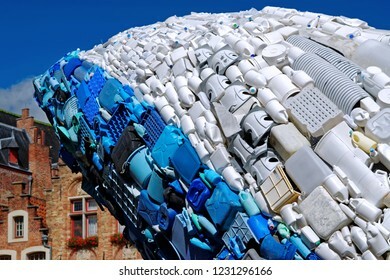 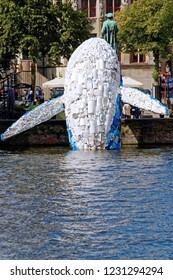 Bruges, Belgium - August 11, 2018: Skyscraper, the Bruges Whale, statue by StudioKCA, made of plastic waste, collected from the seas and oceans of the world, part of Bruges triennial 2018. 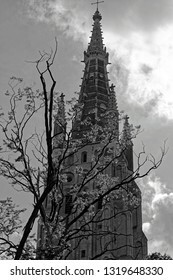 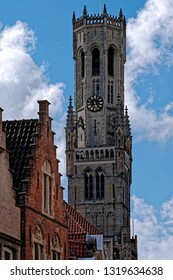 Building in the historic part of Bruges, Belgium with a sharp tower. 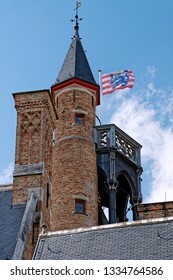 The flag of the city of Bruges wobbles near the high tower. 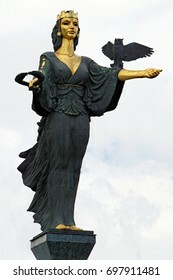 Sofia, Bulgaria - July 04, 2017: The Famous Golden Statue of St. Sofia in Sofia, Bulgaria. 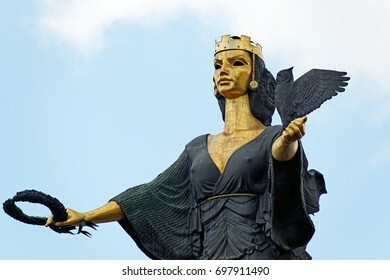 The statue represents Saint Sofia, the goddess protector of the city. 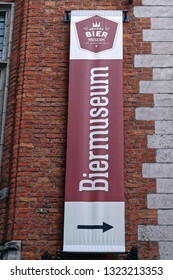 Bruges, Belgium - August 13, 2018: External sign of the Bier Museum, a museum dedicated to Belgian beer. 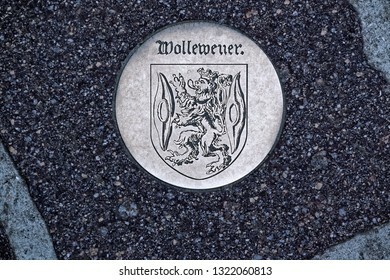 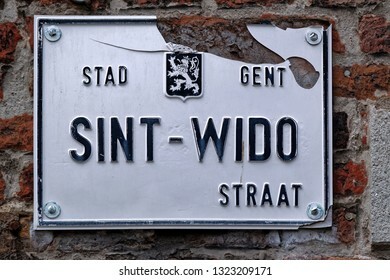 Street sign of Sint-Wido street with the coat of arms of Ghent, Belgium. 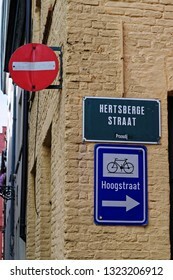 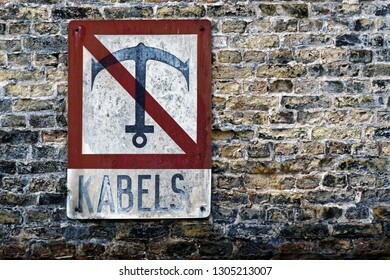 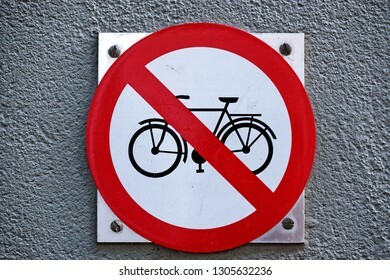 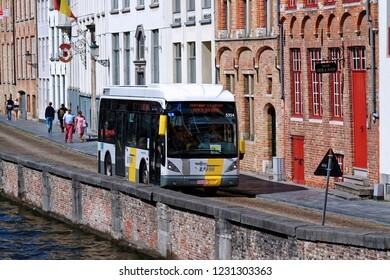 Bruges, Belgium - August 13, 2018: Do Not Enter traffic sign and bicycles direction sign. 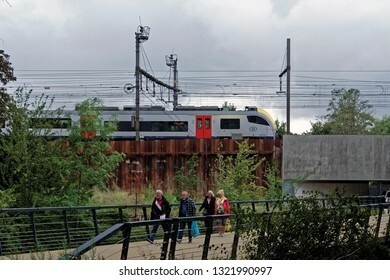 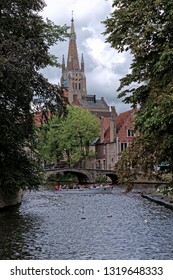 Bruges, Belgium - August 13, 2018: People walking on a small modern bridge. 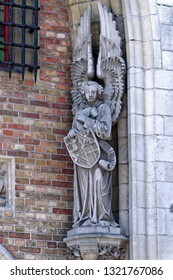 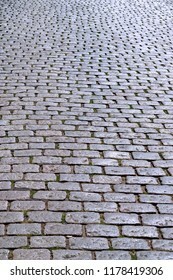 Detail from Smedenpoort, one of the four remaining city gates of Bruges. 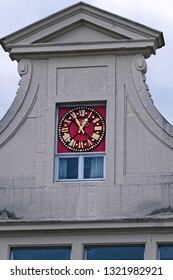 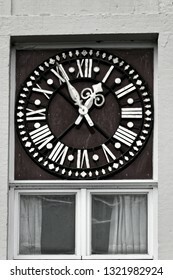 Clock dial on a historic house downtown Bruges, Belgium. 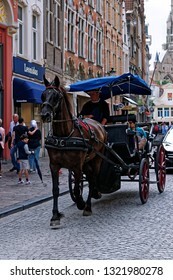 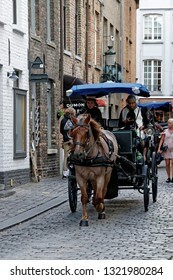 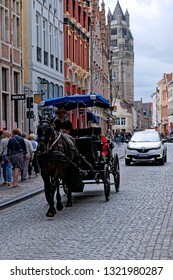 Bruges, Belgium - August 13, 2018: Tourist enjoying the popular horse drawn carriage tour along the cobbled streets of the old city centre of Bruges. 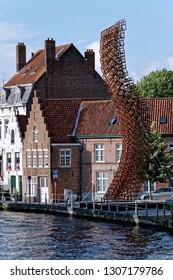 Unique chimney downtown Bruges, Belgium. 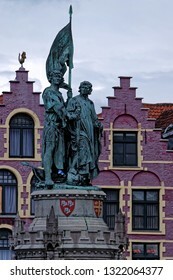 Flag of Bruges, Belgium. 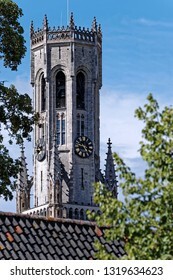 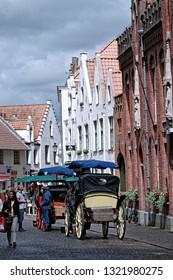 The municipality of Bruges (116,982 inhabitants; 13,840 ha) was established in 1970. 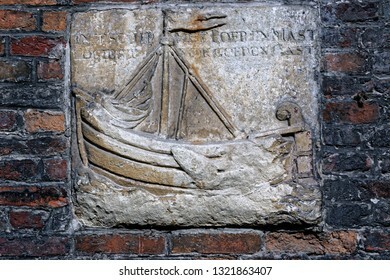 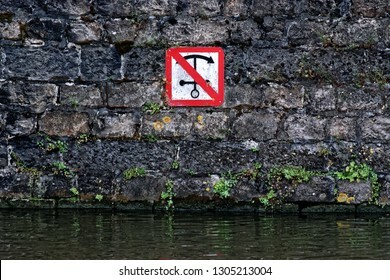 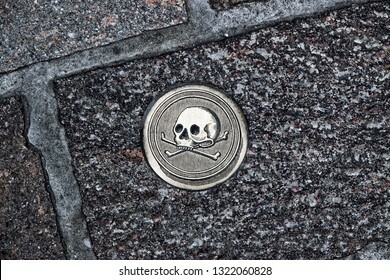 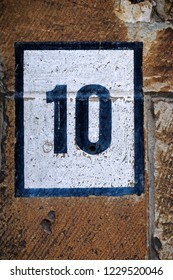 Stone emblem mounted on a brick wall consisting of a small merchant sail boat, decorating a historic house in the central part of Bruges, Belgium. 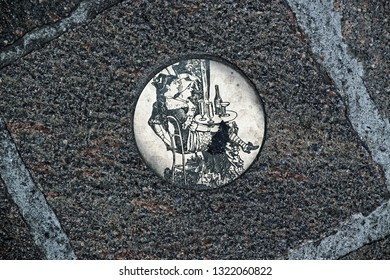 Inscription - not readable. 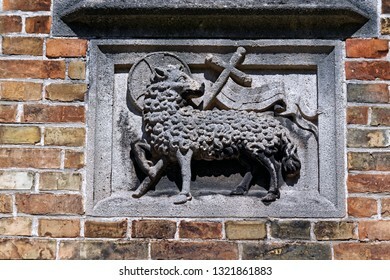 Stone emblem mounted on a brick wall consisting of a sheep, christian cross and a flag, decorating a historic house in the central part of Bruges, Belgium. 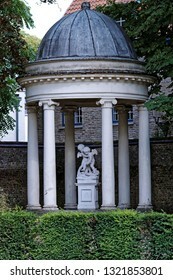 Monolith gazebo with white columns and two angels in the center, downtown Bruges, Belgium. 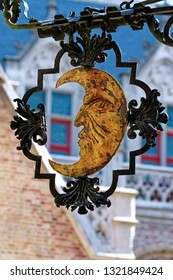 Crescent with a human face painted with gold paint - ornamental wrought iron decoration. 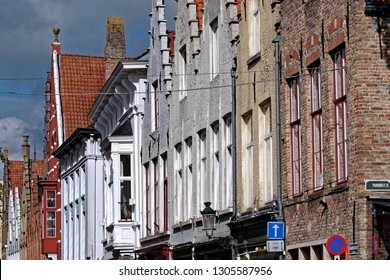 Bruges, Belgium - August 13, 2018: Street market. 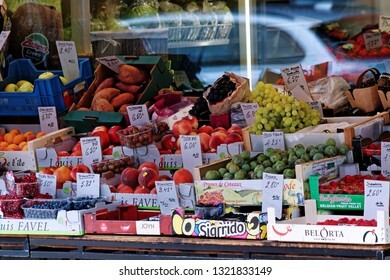 Fresh fruit on display at a vendor's stall. 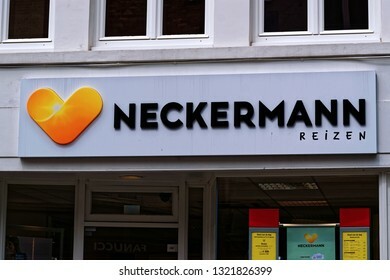 Bruges, Belgium - August 13, 2018: The logo of the brand "Nedckermann reisen". 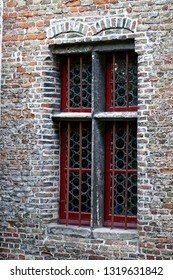 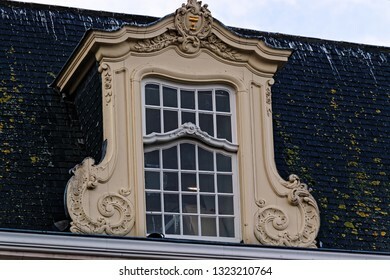 View from the exterior facade of a historic building with closed window shutters downtown Bruges, Belgium. 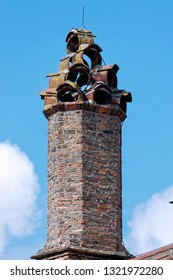 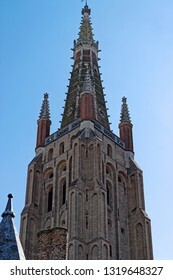 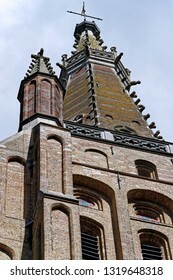 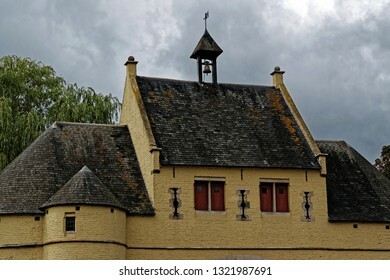 А historic brick building, probably an observation tower with a sharp roof in Bruges, Belgium. 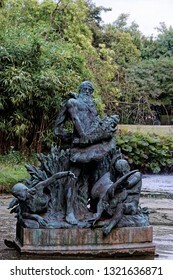 Detail view of a fountain at Koningin Astridpark, Bruges. 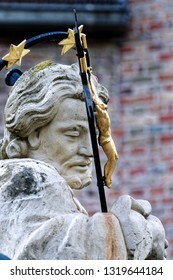 Once a monastery garden, this park offers a gazebo, and a picturesque pond with a fountain. 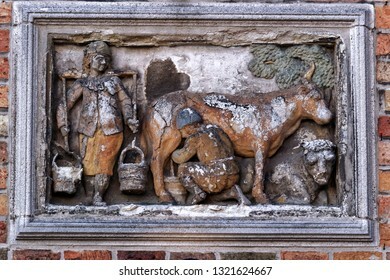 Dairy farming stone emblem mounted on a brick wall consisting of a milkmaid with buckets and a cow, decorating a historic house in the central part of Bruges, Belgium. 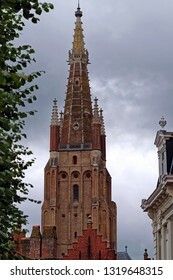 Onze-Lieve-Vrouwekerk, or Church of Our Lady, Bruges, Belgium. 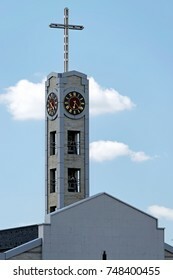 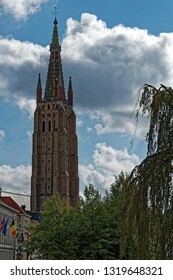 At 122 m, the tower is the highest building in Bruges and the second tallest brick building in the world. 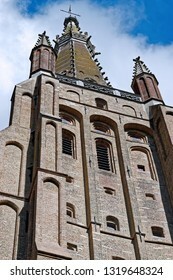 Completed in the 15-th century. 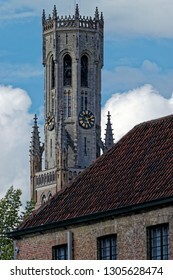 View of Belfry of Bruges (Belfort van Brugge) tower in Bruges, Belgium. 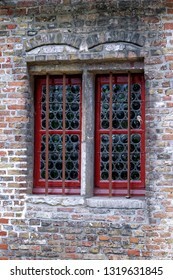 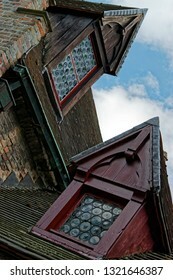 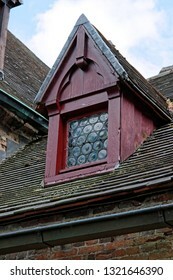 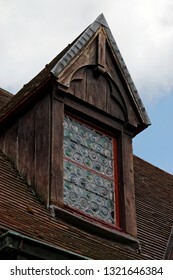 Windows with red wooden frame. 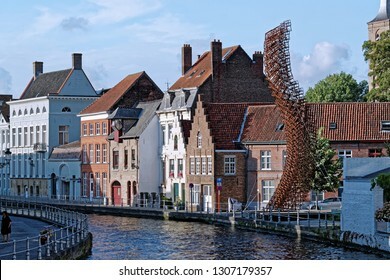 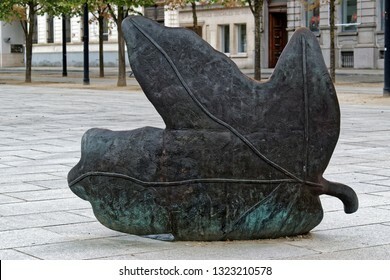 Bruges, Belgium - August 13, 2018: Lanchals art installation by John Powers in the form of a swan's neck. 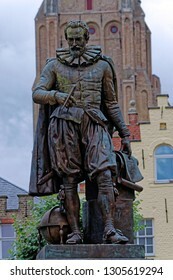 Inspired by the legend of Pieter Lanchals - an adviser of Archduke Maximilian of Austria. 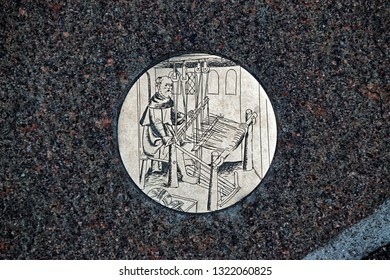 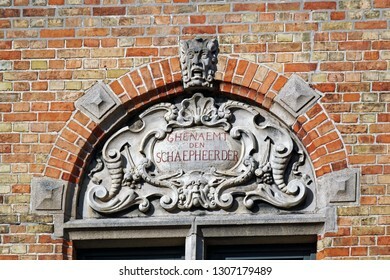 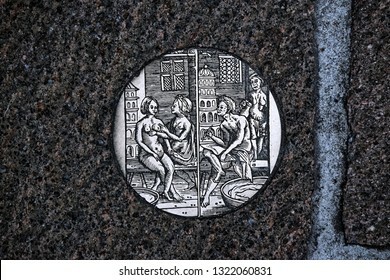 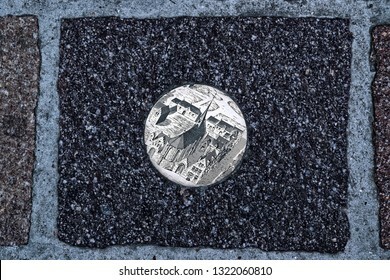 Bruges, Belgium - August 13, 2018: A stone emblem consisting of various ornaments and inscription in Dutch: Society of shepherds, decorating a historic house in the central part of Bruges, Belgium. 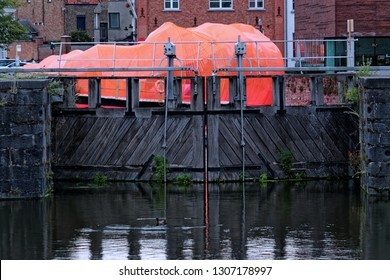 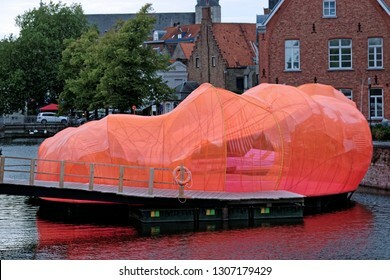 Bruges, Belgium - August 13, 2018: As part of Bruges Triennale SelgasCano studio created a floating pavilion on the Coupure Canal, clad in pink-orange vinyl and affixed with a wooden platform. 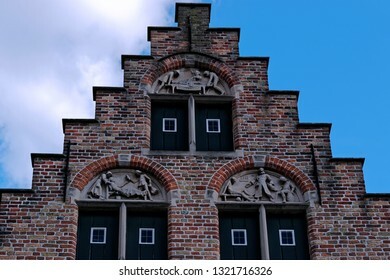 Ghent, Belgium - August 12, 2018: View from the exterior facade of a historic building. 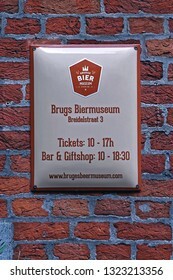 Readable word translated from Dutch to English: Iron, Connects, Steel, Bank beams. 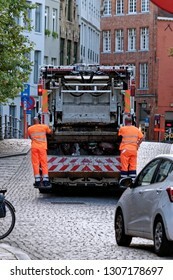 Bruges, Belgium - August 13, 2018: Yellow garbage truck or waste truck used for collection and transportation of waste or garbage. 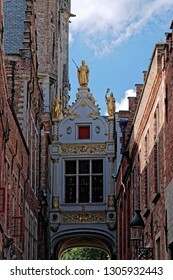 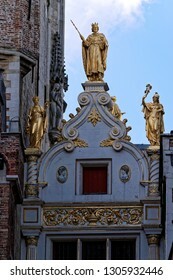 A gilded statue of Count (Markgrave) Baldwin I Iron Arm (830s-879) with two ladies by his side tops the archway at the rear of the Old Civil Registry Archway at the Donkey Street (Blinde Ezelstraat). 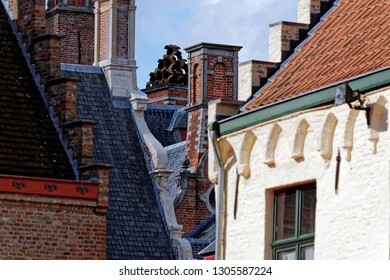 View from the exterior facade of a historic building downtown Bruges, Belgium. 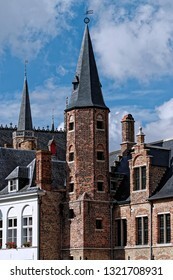 View from the exterior facade of a historic building and unique chimney in the center of the image, downtown Bruges, Belgium. 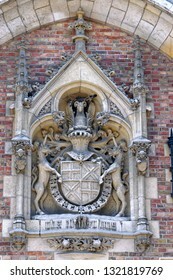 Emblem of smiling sun. 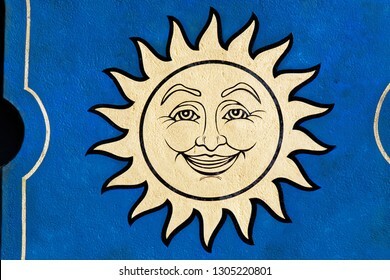 Golden sun face symbol with sun rays. 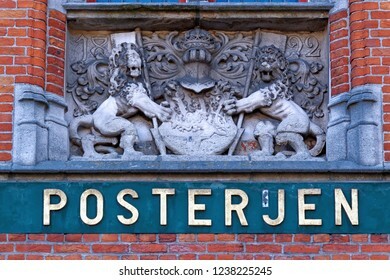 Summer weather and heat sign.